WASHINGTON—In the wake of the release of a letter implicating the Supreme Court nominee in a sexual assault, Senate Republicans told reporters Monday that they would seek to delay a vote on Brett Kavanaugh’s confirmation until his accuser, Christine Blasey Ford, was properly smeared. 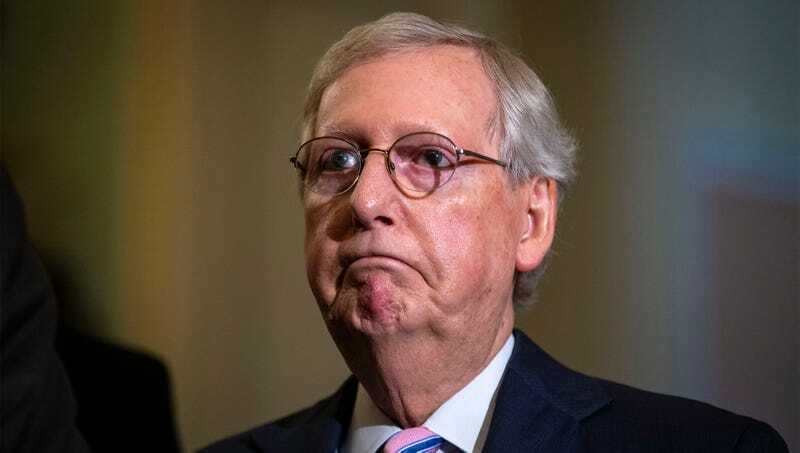 “Given the significance of this vote and the accusations at hand, it’s of the utmost importance that we give ourselves the time to carefully drag Miss Ford’s name through the mud and make her regret ever coming forth with these accounts,” said Senate Majority Leader Mitch McConnell (R-KY), stressing that he would urge his colleagues to push back any vote on the nomination until the Senate Judiciary Committee had taken every opportunity to tear apart Ford’s character on a national stage, question her mental stability, and repeatedly trivialize her experience of sexual trauma. “We can’t in good conscience confirm Judge Kavanaugh—to the highest court in the land, mind you—without making a serious attempt to find evidence from the accuser’s life suggesting she’s nothing more than a serial liar and attention seeker. If not just to slander her name, than at least to invalidate the experiences of every sexual assault victim in the country.” McConnell stressed that he understood the need for swiftness in the matter, as the Senate would absolutely confirm Kavanaugh regardless of any findings.